The National Science Education Standards as well as the 2061 project reaffirm the conviction that inquiry is central to the achievement of scientific literacy. The National Science Education Standards use the term inquiry in two ways: (1) inquiry as content understanding, in which students have opportunities to construct concepts, patterns, and to create meaning about an idea in order to explain what they experience and (2) inquiry in terms of skills and abilities. Under the category of abilities or skills, Bybee includes identifying and posing scientifically oriented questions, forming hypotheses, designing and conducting scientific investigations, formulating and revising scientific explanations, and communicating and defending scientific arguments. It is suggested that many of these abilities and skills are in alignment with those that characterize inquiry-type laboratory work, an activity that puts the student in the center of the learning process. Thus, the following chapter will mainly deal with the inquiry-based science education in the laboratory. Science educators have suggested that many benefits accrue from engaging students in science laboratory activities (Dori, Sasson, Kaberman, & Herscovitz, 2004, Hofstein & Lunetta, 1982; Tobin, 1990; Hodson, 1990; Lazarowitz & Tamir, 1994; Lunetta, 1998; Hofstein & Lunetta, 2004; Lunetta, Hofstein, & Clough, 2007). More specifically, they have suggested that, when properly developed, inquiry-centered laboratories have the potential to enhance students’ meaningful learning, conceptual understanding, and their understanding of the nature of science. Hofstein and Walberg (1995) suggested that inquiry-type laboratories are central to learning science, since students are involved in the process of conceiving problems and scientific questions, formulating hypotheses, designing experiments, gathering and analyzing data, and drawing conclusions about scientific problems or phenomena. With the reform in science education in the1960s in many countries, the ideal became to engage students with investigations, discoveries, inquiry, and problem solving activities. In other words, the laboratory became the core of the science learning process (Lazarowitz & Tamir, 1994). 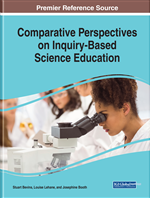 Many research studies have been conducted to investigate the educational effectiveness of inquiry-based laboratory work in science education in facilitating the attainment of the cognitive, affective, and practical goals. These studies were critically and extensively reviewed in the literature. From these reviews it is clear that in general, although the science laboratory has been given a distinctive role in science education, research has failed to show simplistic relationships between experiences in the laboratory and student learning. Baird (1990) referred to these meta-cognitive skills as “Learning outcomes associated with certain actions taken consciously by the learner during a specific learning episode.” (p. 184). Meta-cognition involves elaboration and application of one’s learning, which can result in enhanced understanding. In attempting to develop scientific literacy among students, teachers must create effective learning environments in which students are given opportunities to ask relevant and scientifically sound questions (Penick, Crow & Bonnstetter, 1996). Several studies noted the importance (and value) of questioning skills. Dori and Herscovitz (1999) reported that in fostering 10th grade students’ capabilities, posing questions improved their problem-solving ability. Also, Hofstein, Shore and Kipnis (2004) in a previous publication regarding this project, reported that providing students with opportunities to engage in inquiry-type experiments in the chemistry laboratory improved their ability to ask high-level questions, to hypothesize, and to suggest questions for further experimental investigations. The objectives to be attained in the laboratory depend on a wide range of factors. Among others, these will include the teacher's goals, expectations, subject and pedagogical content knowledge as well as the degree of relevance to the topic, the students' abilities and interests, and many other logistical and economic considerations related to the school settings and facilities. (See Table 1).